Sheepskin with unique color scheme from our Gothic fur coat. The wool is cut in different lengths and the colors vary naturally from brightest gray to almost black leather. 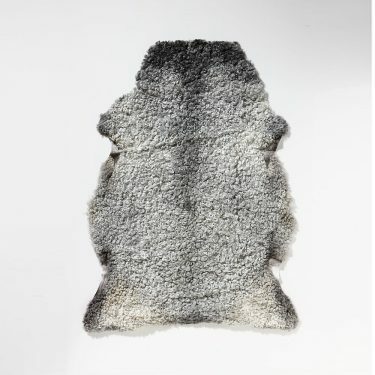 All lambskins are unique and have their own charm. Why not put a soft warm skin next to the bed, spread it out in the stroller, the pulk or why not make it a little cozy and beautiful on the couch. 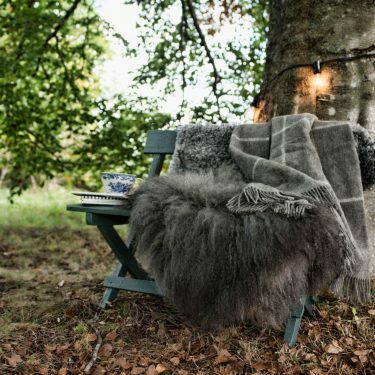 You can enjoy our sheepskin fields for many years.